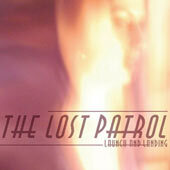 The Lost Patrol (TLP) are a band that EvilSponge has championed for years. Initially supportive, we quickly found our appreciation turning to amazement as the New Yorkers dazzled in places during their last album, Lonesome Sky. Now with the arrival of their fifth (?) long player comes vindication for the handful of us contributors who ply our trade at Sponge HQ. We were right. These guys WERE capable of greatness. Scratch "capable", TLP just released Greatness - Launch and Landing. Yet with their surf-twang guitars and Goddess vocalist, where do TLP fit in today's music scene? Answer - nowhere. I can't think of another band who sounds like them. Mazzy Star? Julie Cruise? Cocteau Twins? All close, but no cigarillo I'm afraid. (Brendan's Note: And all in a state of semi-retirement anyway!) How refreshing then, to witness a band pursuing their own unique sound, ignoring all trends and bandwagons that spring up around them. Talk to any obsessive music fan, any lover of live music or simply your local musician and they'll all tell you the same thing. There are a great many very good bands. Every town from East Coast to West will have a fantastic band and wonderful musicians. Sometimes the difference between success and anonymity can be so marginal, so fickle, that all acts with a modicum of ambition are seeking that elusive angle (or should that be Angel?) which could push them ahead of the pack. This is why any number of groups would sell their own Grandmothers for a singer like Danielle Kimak Stauss. Whatever anybody thinks of TLP's breezy, cinematic style, surely few would contest that Stauss merits consideration as one of the finest female voices around? These seductive tones could turn male knees to Slush Puppy at ten paces. The record itself is their most prestigious yet by some margin. They showed flashes of brilliance in the past, but here they manage to put everything together to make one satisfying work. It's a nice title then, Launch and Landing, suggesting that things are about to take off for the band. Take Me Away and Sirens are both prime examples of TLP's trademark 'Mosrite' sound. Elsewhere, tracks like Only Love and Venus Burlesque try something different with highly pleasing results, the latter recalling Cocteau Twins classic cut, Musette and Drums. The '4AD' effect is continued on Tears of the Sun, which I'd swear is a dead ringer for The Hope Blister if not This Mortal Coil. The only caveat is that the music of The Lost Patrol really calls for some investment from the listener. Precisely because they don't fit into any genre norms means that the expectation/fulfillment dynamic becomes unpredictable and personal to each individual. New listeners should not bother approaching from a skeptical viewpoint. Like a nine year old trying a foreign cuisine for the first time, it really doesn't help to be pressured or pushed. You'll only unlock the pleasures of TLP if your mind is open to their possibilities. You'll only love TLP if you love beauty, joy, and unashamedly heart-bursting songs. "Only love will save you."